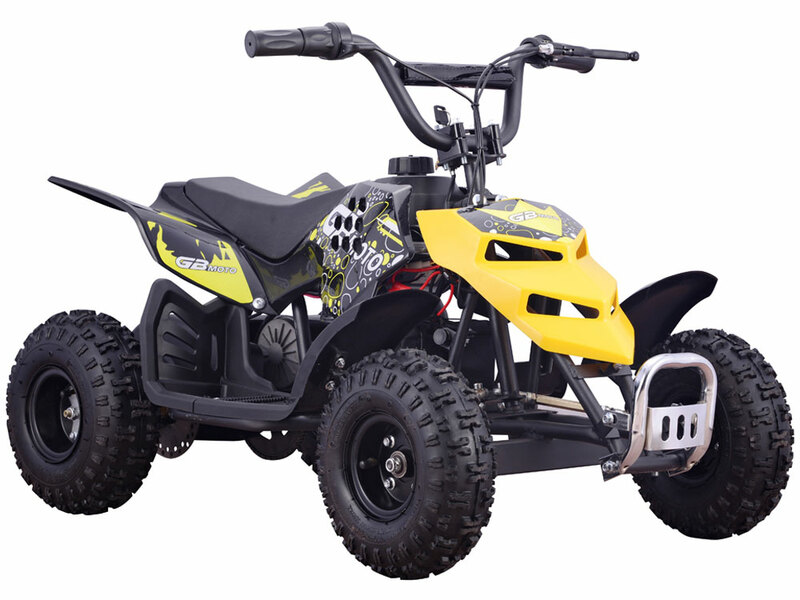 The MotoTec 24v ATV Mini Monster is the ultimate kids atv! Great for driveway and backyard fun, cruise over bumps and speed through dirt trails with ease. New features include: variable twist throttle, key start, battery meter and rear disk brake.